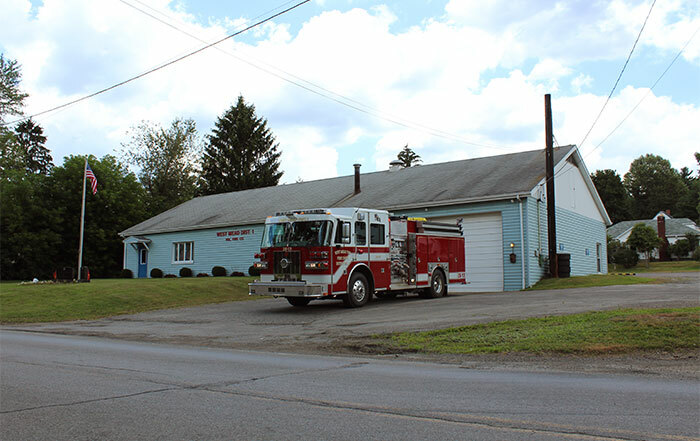 West Mead #1 Volunteer Fire Company serves District 1 of West Mead Township in Crawford County in northwest Pennsylvania. Our services include fire prevention education and emergency responses for fire, medical, and motor vehicle accidents. We also assist the township with trees and wires down. We respond from two stations in West Mead Township, one on Liberty Street with an attached social hall and another on Alden Street. Our social hall is available for rental by the public. Contact us regarding social hall rentals. We enjoy mutual aid relationships with several surrounding departments, including West Mead #2, Meadville Central, Cochranton, East Mead, Vernon Central, Vernon Township, and Meadville Area Ambulance Service. Some of our members serve with the Crawford County Scuba Team.